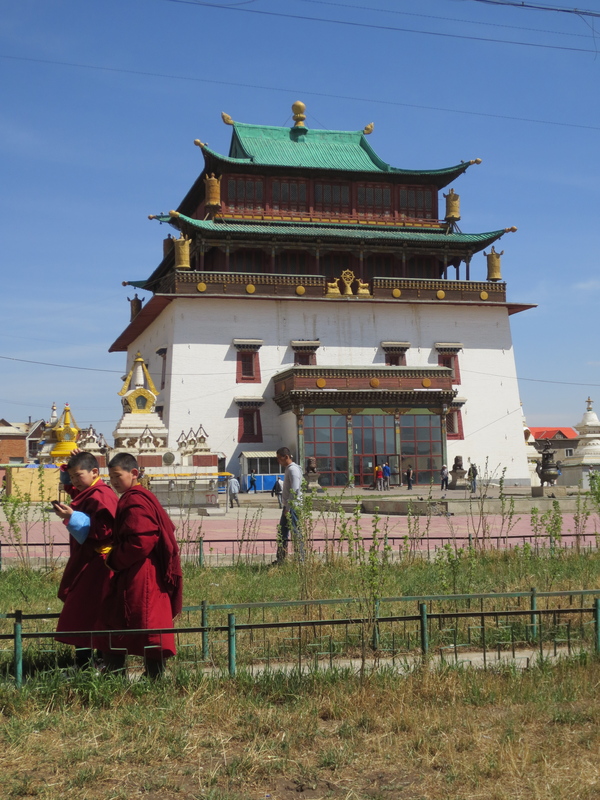 Two Monks of 9,000. One building of many. 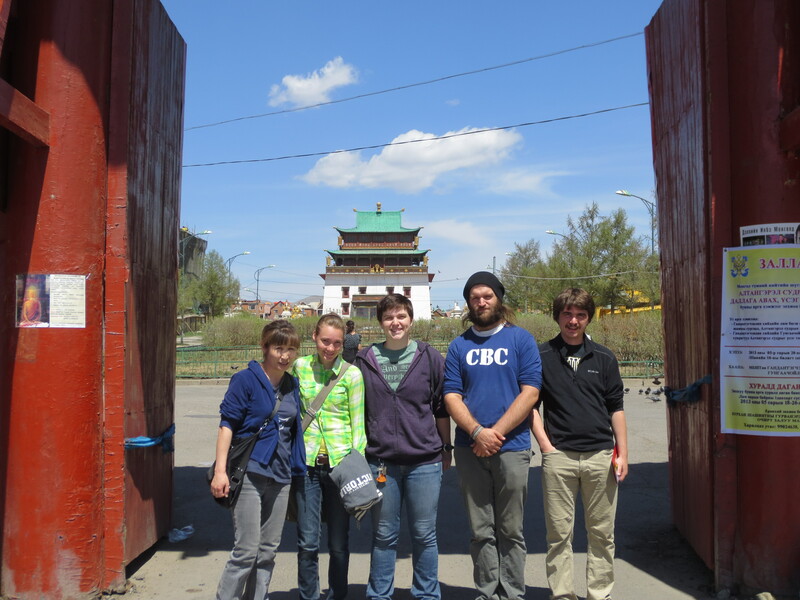 When we were nearing our time in Mongolia, our team took a morning to tour the biggest temple in the city (and therefore, country) with out language teacher and a friend. Wow. We should have done that the first week we got there, in my opinion. That’s what the experience was. 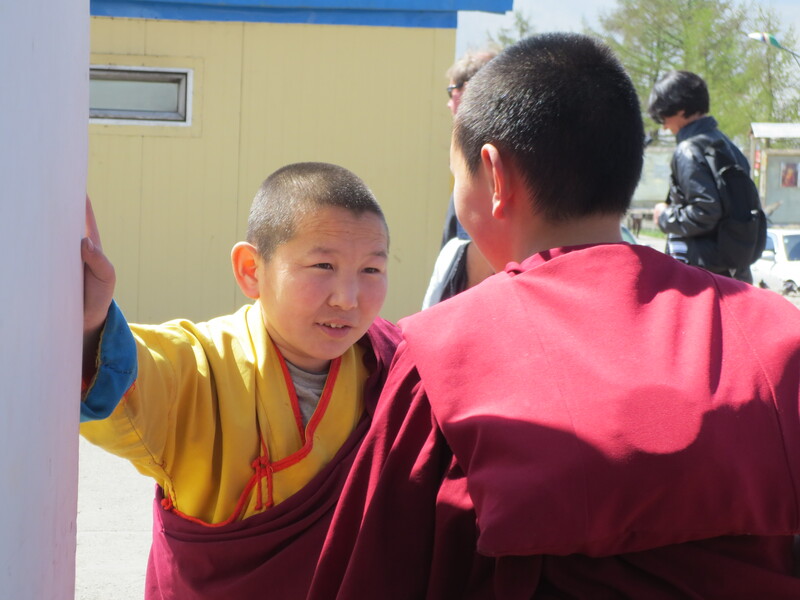 Two young monks chatting away the breeze. The leaves here in Canada are changing to yellow and red. 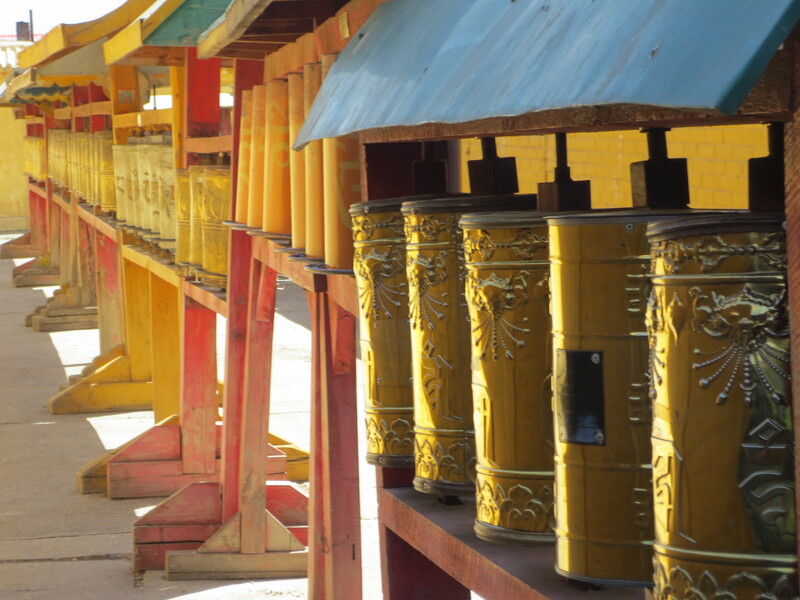 These are two important colours in Buddhism, one of the main religion of Mongolia. Second to Buddhist beliefs comes Animism – beliefs in the spirit world and that natural objects other than humans also posses spirits/souls. Obviously, I am simplifying things immesly here and do not claim to understand much of what is involved in either religion. On top of these two belief systems, I learned a new word and concept: Syncretism. That’s where people mix elements of different religions into one pot of stew; sometimes where you pick out the flavours you like but other times where you just throw everything together because you’re afraid it might not turn out right. And to be honest, I can’t remember the significance of red and yellow, and suspect some of it may depend on context. I just know they show up a lot. Milk & Wheels. A symmetrical picture. 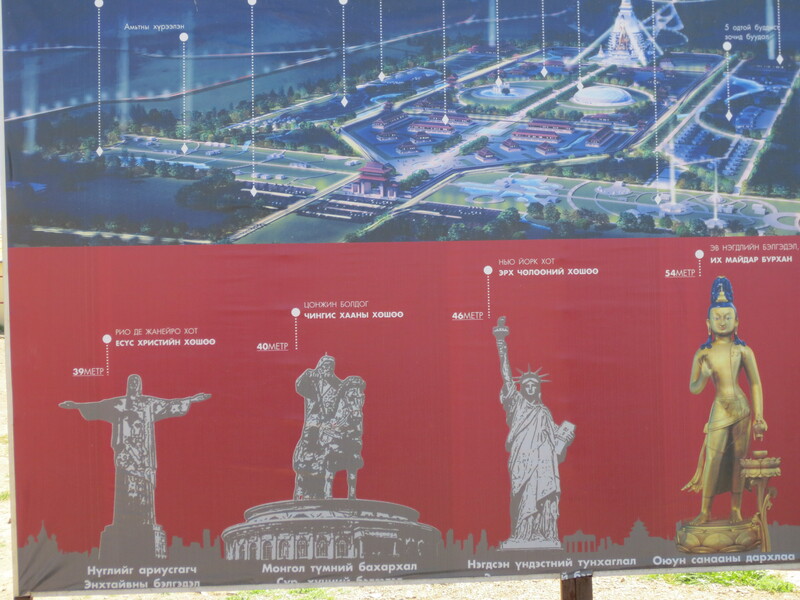 Plans for a new statue/Idol. Only base completed at time of tour; see picture below. One thing that surprised me was the way things were taken care of at the temple: they weren’t. 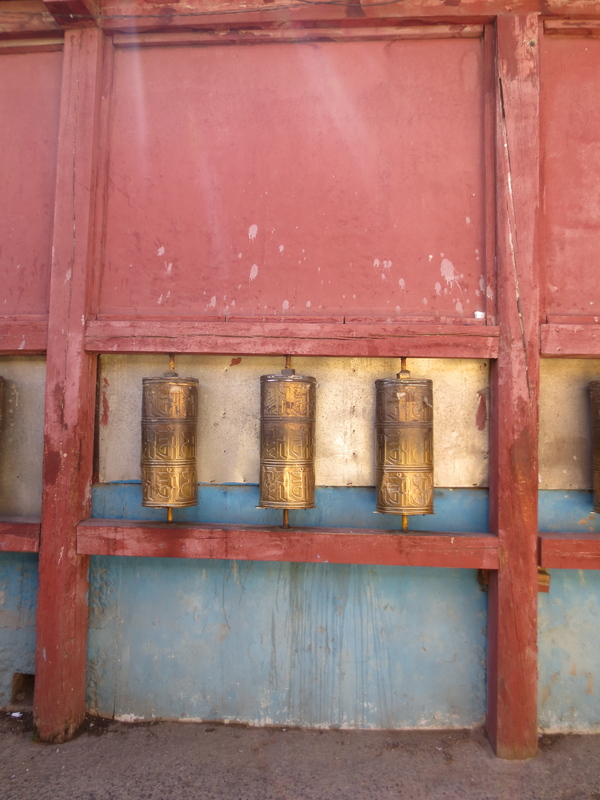 We saw many broken, dented prayer wheels and lots of things were grubby and dirty. I wouldn’t want to touch them. 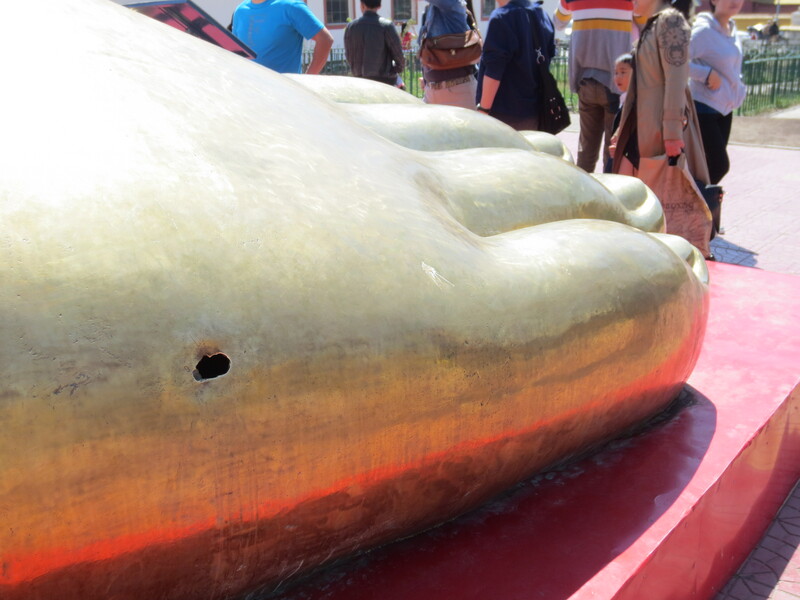 In front of the largest statue of the golden buddha there was an offering box, filled with paper money representing 10, 20, and 50 Tugriks – some of the lowest amounts you can give, a fraction of a bus price. I had to marvel. Wouldn’t you want to honour your god with the best? Wouldn’t you want to fix something that was broken? 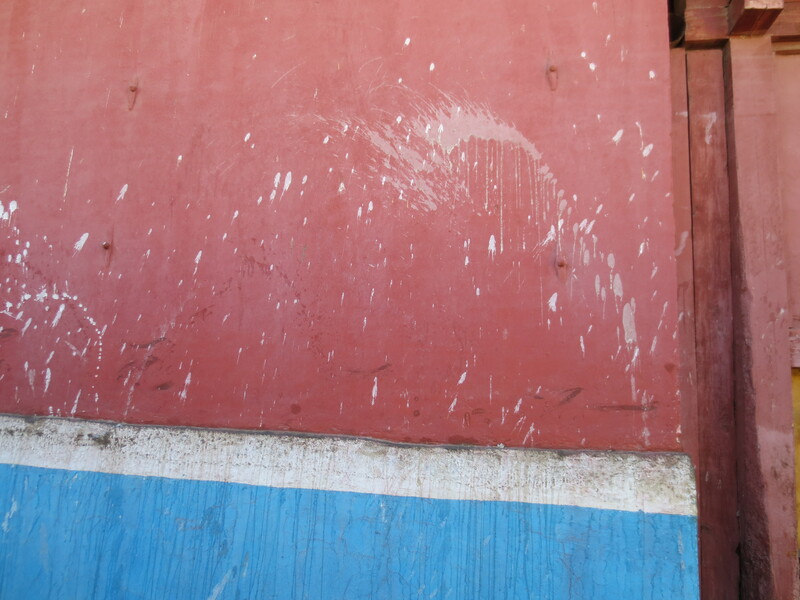 In my culture, to let it sit in disrepair is to show you don’t care. In context, however, the milk is not viewed as “Dirty” but “pure.” The white substance represents purity and I don’t remember why it is splashed on the wall. I do know it represents purity and it’s common practice for white things (food especially) to be used in rituals in instances outside the temple as well, such as journeys and holidays and festivities. There were also pigeons EVERYWHERE. 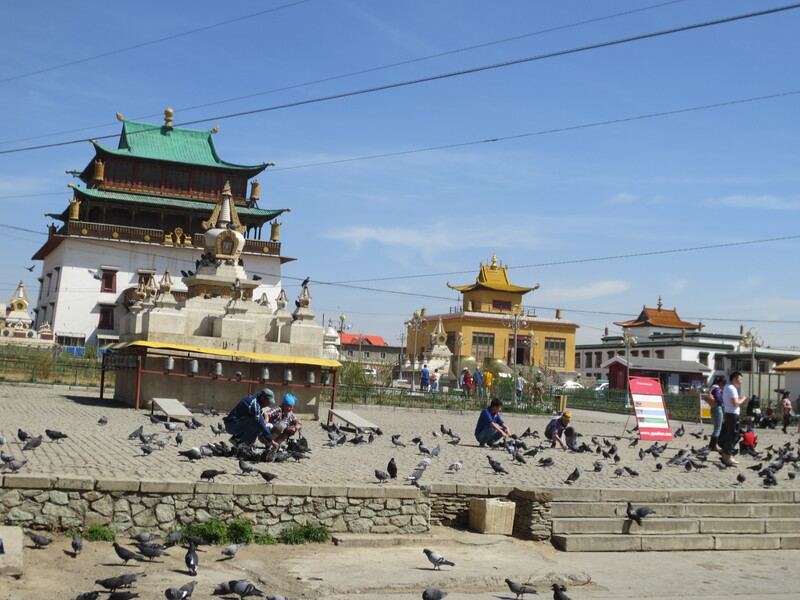 People will often feed the pigeons here to earn merit and good favour, both now and in the hopes of a better next life. The fattest birds in the country live here. 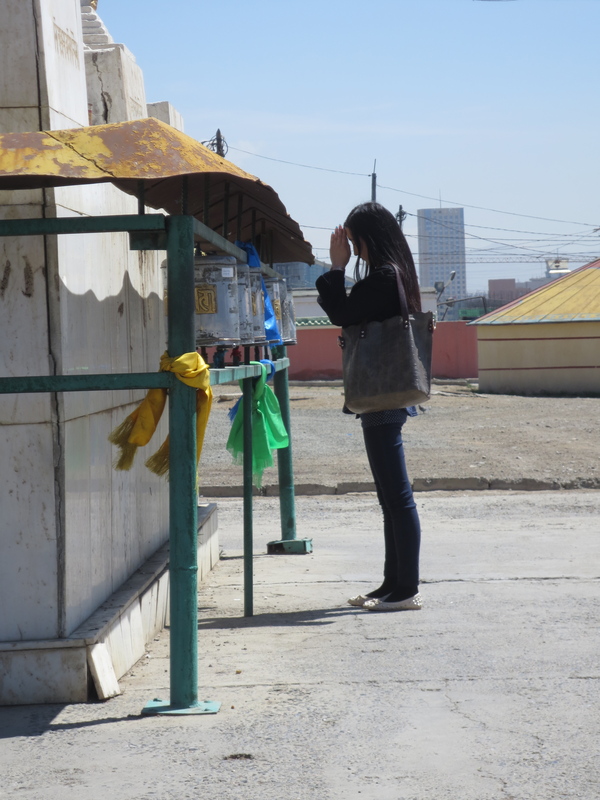 A young woman stops to pray as she makes her rounds following the prayer wheels circling a statue. And in this place as I watched the people pray, I prayed too, but to another God. who cannot be housed in tin or gold. Maker of All Things, the Everlasting One, giver of Life and Peace. Next Post Conveniently, it happened at Thanksgiving. Thanks for the post Anna. That is a very different temple than the Buddhist and Shinto temples I saw. Like you mentioned here though I wish I knew a bit more. Where were the temples you saw Andrew?